Do Fiber Networks Require Maintenance? FTTx Summit Scheduled in New England in June-Sign Up Now! CFOTs - Register Now On The FOA Searchable Database of Installers, Contractors and Consultants. Go to the FOA Installer Database to register. 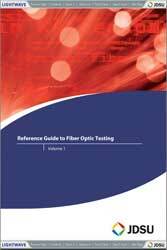 New Tech Topics: Why are there 4 ways (maybe 5) to test fiber optic cables? (PDF) How do you clean connections? 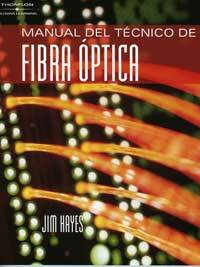 Jobs: What is a fiber optic technician? Help the US Department of Labor to define it. FTTx Jobs: Verizon offers lots of opportunities, ADC needs CO Techs. A recent article on network maintenance made these suggestions: For fiber optic cabling maintenance, inspect the connectors and cables, do an end face inspection (min. 400X scope), clean the connector end face, clean and inspect the coupler sleeve (coupler microscope), complete periodic insertion loss tests, perform an optical time domain reflectometer (OTDR) test (reference to original acceptance trace), do a signal output test on active components checking for degradation, remove dust from cabinets or patch panels, and check pressure of splice cases. 1. 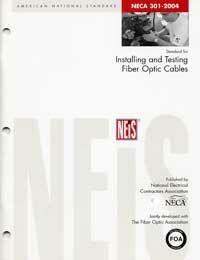 Most harm to fiber optic systems is done by messing with them. Even with care and careful, experienced techs, it's possible to damage connectors or cables when mating/unmating or moving them around. a. It's easy to get dirt into mating adapters or on connectors whenever they are exposed to the air - why risk it? b. Mating and unmating may wear the interface (both endface rubbing against the mating connector and the outside of the ferrule scraping materials off the mating adapter - especially bad with cheap plastic alignment bushings) and cause higher loss. c. A 400X microscope will concentrate power in a cable into the eye, potentially harmful with 850 nm VCSELs used in >gigabit networks. Besides 400X is too high a magnification for inspection of anything but a factory-polished singlemode connector. d. Such inspection procedures require bringing the network down, unacceptable in almost every instance. Guaranteed to get you in trouble with the network manager. How do you maintain a fiber network properly - LEAVE IT ALONE! Download the form (PDF) and sign up now! The FOA, responding to industry needs to provide more trained techs for FTTx instalations, will be doing East Coast versions of our very successful FTTx Summit Meetings aimed at contractors, installers, teachers and vendors. Following up on the highly successful "Fiber To The Home" Summit Meeting this January at LA Trade Technical College in Los Angeles, The FOA has scheduled Summit meetings in New England in June. The FOA FTTx Summit is aimed at installers, contractors and instructors who want to know more about FTTx technology, training and job opportunities. Presentations and displays by industry leaders and FTTx implementers/employers will allow attendees to learn from and meet the people involved. Participating in the NE meetings will be Verizon, discussing FiOS FTTP technology, implementation and job opportunities. Corning and JDSU will discuss FTTx markets and technology, as will other vendors including (tentatively) OFS, AFL and ADC. The FOA will discuss FTTx training, certification and job opportunities. On June 12, we'll be the guests of New Hampshire Technical College at Pease near Portsmouth, NH, as the guests of Dave Miller who teaches the FOA program at the college. FOA FTTx Summit meetings will be full day meetings with lunch provided. Threre are no fees to attend. Full details on the meetings and signup forms will be posted online on the FOA website (http://www.thefoa.org/ ) or those interested may sign up for the FOA email newsletter list (http://visitor.constantcontact.com/email.jsp?m=1101552677850 ) to be notified. FiberFest is a one-day tabletop trade show of fiberoptic products focusing on the regional markets of New England. Exhibits include a wide range of OEM and end-user products including fiber optic connectors, active & passive components, fiber & cable; CATV equipment, imaging fiber optics, connector polishing and inspection equipment, test equipment, and design and installation services. The markets addressed include OEM, medical, CATV, telecom, datacom, broadcasting, Internet, security, education, sensors, and MIL-Aero. The one-day event also includes a Symposium covering the latest advances in fiberoptic technologies, equipment and, networks. 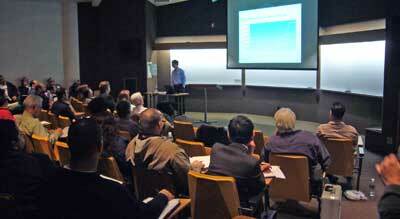 Symposium focus this year is "The Optical Future for Broadband Access: Progress and Perspectives." 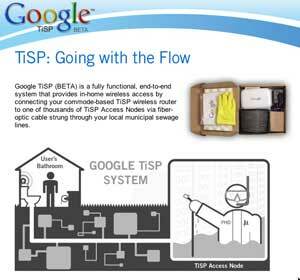 Thanks to all our readers who wrote to ask if Google TISP was real or to tell us it was a joke! Well, remember it was April 1 when they announced it! With Free FTTT* Offering Called Google TiSP ! On April 1, Google announced their new, free broadband service that connects to an in home wireless router with a optical fiber that users can install themselves! 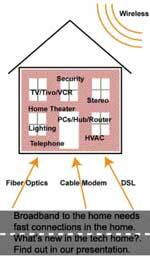 No more waiting for the telco to bring fiber to your home, no expensive sign-up costs, no long term contracts. This is one of the biggest FTTx developments this month. Google must be "flushed" with pride! Be sure to read the installation instructions. PR too. Ron Wandscher from Research Triangle Institute (RTI) in Raleigh, North Carolina. RTI, a non-profit international social research organization, has been retained by the United States Department of Labor (OMB # 1205-0421) to assist them with the O*NET Data Collection Program. O*NET stands for Occupational Information Network and is a database accessible by the public via the internet ( http://www.onetcenter.org/) at no cost, which provides information about the skills, tasks, work context, and knowledge requirements of 900+ occupations in the United States. It replaces the 70-year old Dictionary of Occupational Titles as the nation's primary source of occupational information. The U.S. Department of Labor believes the maintenance of this database plays an integral role in assuring the vitality of the American economy. You may obtain more information about this program by visiting the U.S. Department of Labor,s website at http://www.doleta.gov/programs/onet/. The objective of the O*NET program is to obtain representative samples of workers in each of these 900+ occupations and have them complete brief, objective questionnaires which will be used to populate this database with current and essential information. 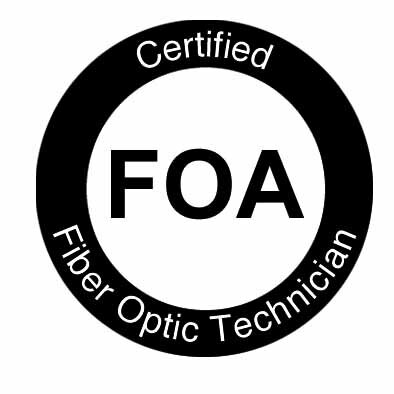 I am contacting The Fiber Optic Association (FOA) because our focus is now on the occupations of "Photonics Engineers and Photonics Technicians". I am hoping your organization can identify experts in these occupations among your membership. In order to insure that this occupation is accurately represented within the O*NET database, your organization has been identified as one of the organizations in the United States that might have these occupations amongst your members. As such, I would like to speak with you to gauge the extent to which your organization is able to assist with this important program. Meet Verizon FTTx Recruiters At The FOA FTTx Summits in New England and Philadelphia. Finisar Corp has the following immediate job openings. Providing field application support for east coast, covering various products from transceiver, transponder to discrete telecom components. Good communication skills, and document writing skills, and with technical understanding of product spec, test and reliability. Multi-year experience in developing optoelectronics modules, team building experience, hardware/firmware knowledge, and OE module testing/standard. Multi-year experience in developing relevant optoelectronics modules, hardware design or software design, digital/high speed PCB design. Regional sales managers for optoelectronic transceiver sales in Texas region. Multi year sales experience required. If you are interested, please email <frank.fan@finisar.com> with your resumes. manufacturing operation procedures and facilities . 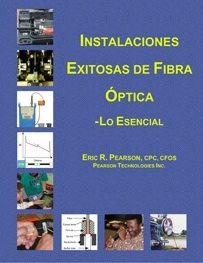 of specialty optical fibers to include silicone, polymide, acrylate and hard clad silica fiber claddings. 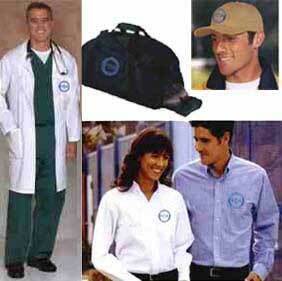 and recommend improvements to reduce manufacturing costs and assist sales with technical inquiries. This world wide company has lots of personnel opportunities for growth . What is this? This OTDR trace shows a common feature that confuses many new OTDR users. For the answer, see below. 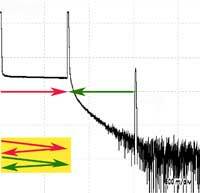 The multiple reflections in the fiber from a highly reflective event - the end of the fiber in this case - causes another peak at twice the distance of the real feature.